jeremy and d.j. discuss the panic inducing moments that followed after the USA ball was pulled out to be placed in group g.
I’m not sure if you noticed last week or not, but there was a lot going on in the world of soccer. On and off the pitch, there were nearly too many story lines to keep up with. 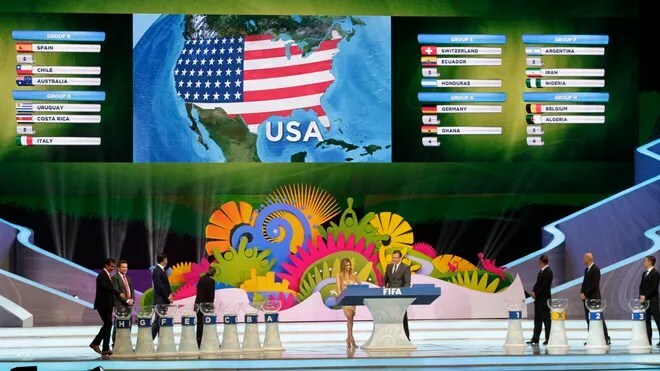 Not only was the long-awaited draw for the 2014 World Cup held last Friday — not to mention all of the drama in its aftermath — but we also had a frozen MLS Cup Final in Kansas City and two whole rounds of Premier League fixtures to deal with. It was nearly enough to make me miss the FA Cup third round draw, and I would have had it not been for Spurs being drawn away to Arsenal in an eye-popping fixture of the round. But somehow, Jeremy and I still found time to talk about all of that plus a look ahead at this week’s Champions League fixtures. Buckle your seat belts kids, this one is going to be rapid fire.